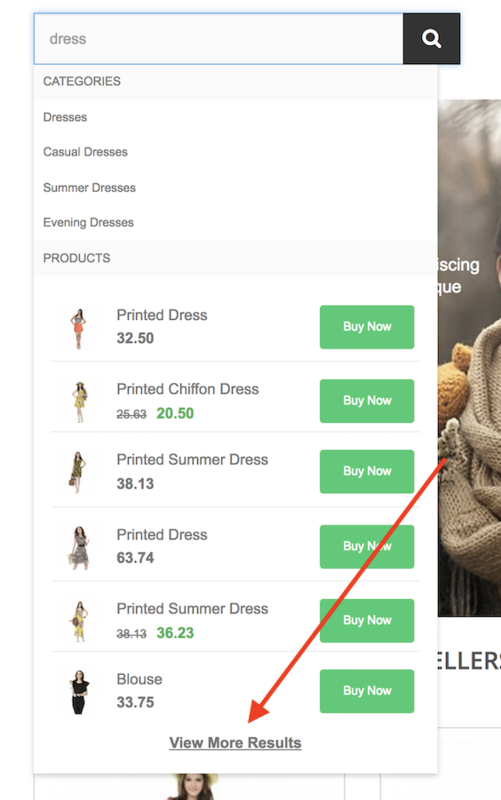 Due to how Clerk.io's Designs work, its easy to add a link in the bottom of the Live-Search dropdown, that shows all products matching a customers query. It assumes that the ID of your input-field is search . If not, simply change it in the above code at Clerk.ui.$('#insert_id'). 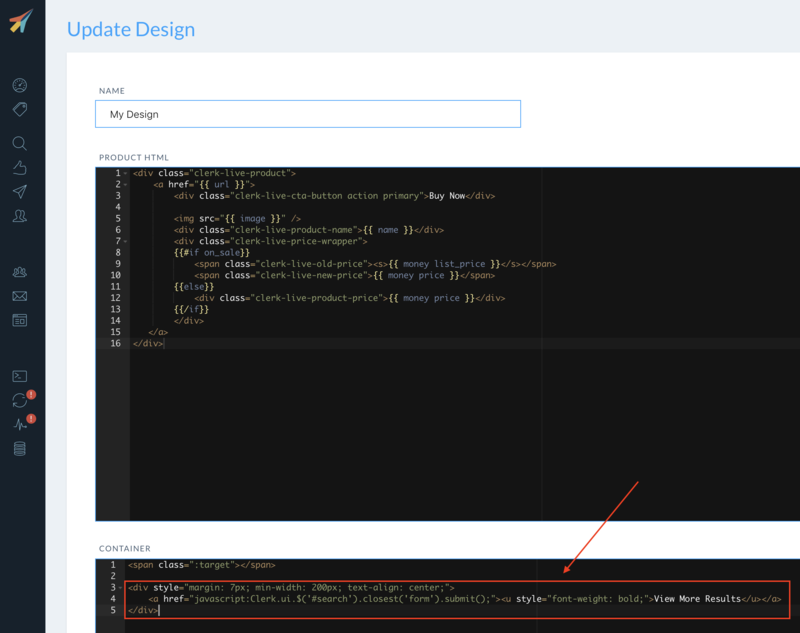 To insert it, go to my.clerk.io -> Designs and click Edit Design for your Live-Search Design.